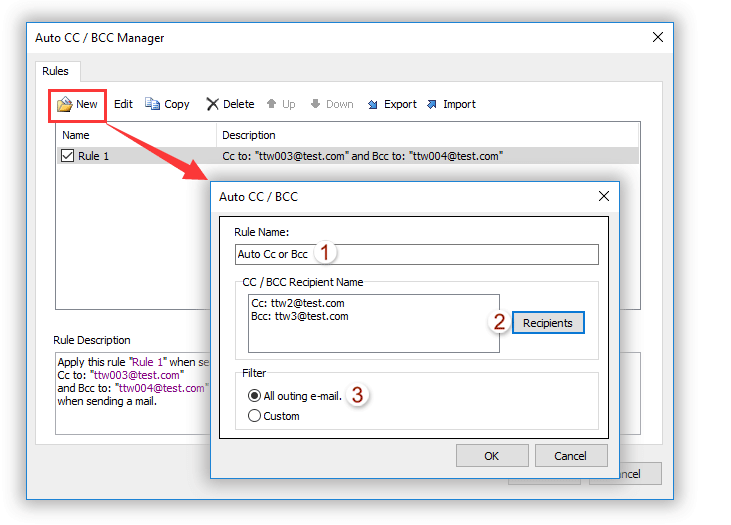 When send the email, how i can remove the BCC from the send items, I want the Bcc to be hide in the send items. Hi, wondering if you found a solution to hide bcc from Sent Folder? I've been trying to do so but to no avail. Any help will be appreciated. Thanks! I am also looking for the same solution, plz help me too. I want to automatically BCC all my emails to my personal email address via VBA code which is working fine. But when I go to sent items BCC field is visible to me, I want to hide it from myself as well so that even it is not visible to me. VBA worked as advertised. Thank you. The macros starts but do nothing in Outlook 2010: If I put Stop to line 13 it opens VBA window and lets me run macros step-by-step... but when macros finishes I see no any leters. Looks like it send letter before BCC added. I did the instructions for outlook 2007 and it didn't work :/ any tips?